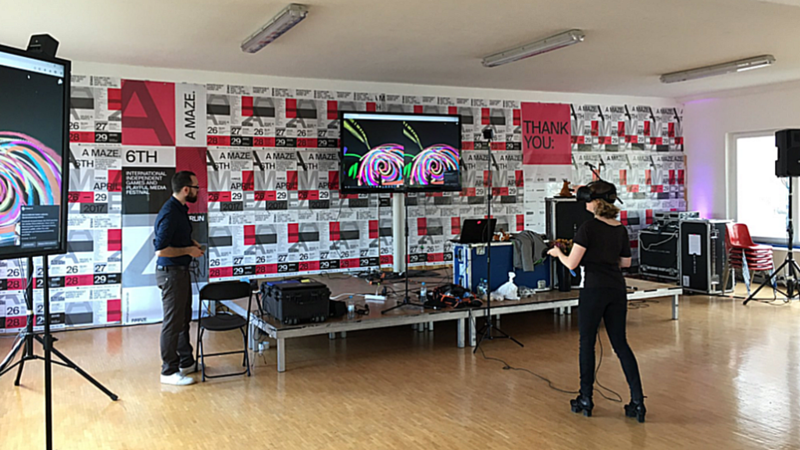 Mozilla´s roadshow made a stop in Berlin at the A-Maze Festival to showcase webVR and brought me along. A lot of passionate people around the world are already working on Virtual Reality through the Web: WebVR!. Entering a virtual world with just one click through your browser without the need of installing any new software. Currently only supported by experimental browsers like Chromium and Firefox Nightly, you can already get a glimpse of what will be standard in the coming years. Mozilla has developed a Framework called A-Frame, giving developers access to an easy to use toolkit which can be used to create exciting VR Experiences on the web. One of which is very exciting for artists. A-Painter is inspired by Tilt Brush and offers a lot of potential in cutomization for artists and devs alike. 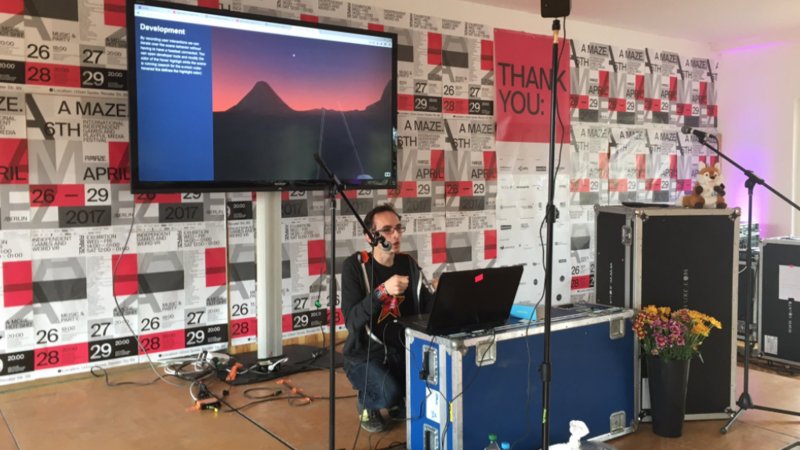 In this post from Fabien you can read about an event we did in Brussels to explore new stuff in VR with A-Painter. A-Frame is build around the idea to be easily accessible for anyone, not just developers with crazy good math skills. With a few lines of Java Script you can build solid VR experiences. The roadshow was a fantastic experience and I´m grateful for getting the chance to do my part in contributing. 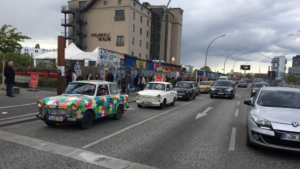 I made many new friends and will keep the memories of the days in Berlin close. Thanks everyone for the experience! If you have interest in webVR you can follow my buddy Fabien Benetou, who is a webVR Wizard, traveling the world and spreading the technology. Another WebVR friend of mine made a list of cool webVR examples you should check out! vrlist.io by Jonathan Z- White.